Download this image (JPG, 699 KB). [01-Jan-07] Ocean color observations have a long legacy and history. NASA launches in 1978 set the stage for future ocean research. SeaSat (left) only operated for 110 days but served as a proof of concept for several types of ocean sensors, including those that monitor winds, currents, and sea level. 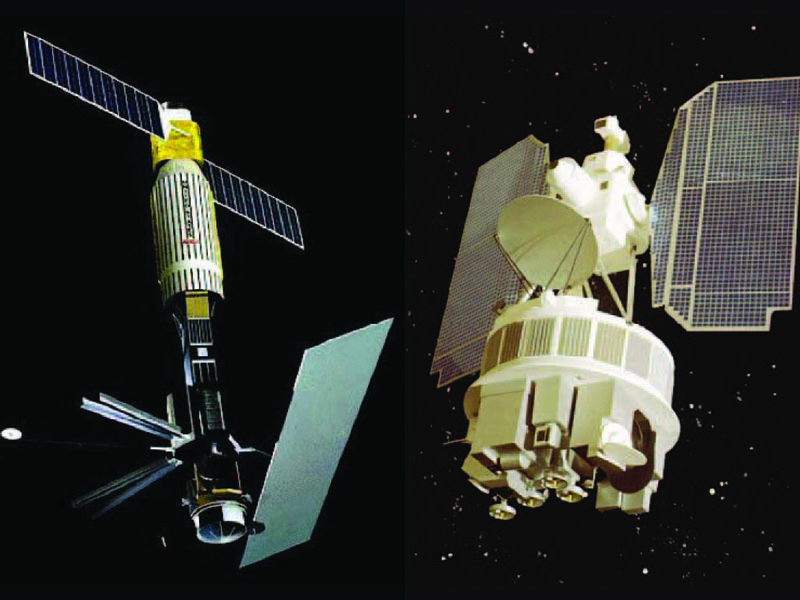 Nimbus-7 (right) included the Coastal Zone Color Scanner (CZCS), which proved that ocean color could be measured from space.